Africa’s valuable resources sector lies in the dramatic increase in Australian investment there. Confidence is soaring thanks to the positive outlook for commodity prices, and Australian mining companies have become increasingly ambitious in their search for the next big thing. For a start, Africa’s economic recovery is on track and much of its natural resources remain unexploited. Commodity prices – underpinned by increased demand for minerals and metals from energy-hungry countries such as China and India – are at an all-time high. The International Monetary Fund (IMF) predicts four of the world’s 10 fastest-growing economies in the next five years will be from sub-Saharan Africa. The IMF anticipates the continent will grow by 4.7%, above the global average of 4.3%. Newcrest Mining chief executive Greg Robinson says the heavy processing required to produce gold pushes Australia right up the cost curve.,“Most of the gold industry in Australia is sitting in the third and fourth quartile, and most of the cost is sitting in the processing,”. In reaction to this reality, Australian mining companies have began to develop gold, copper and iron ore mines across the continent. According to Australia’s department of foreign affairs and trade, investment in Africa is expected to rise to over $50 billion over the next three years. African countries are now in an advantageous position as more mining companies from developing countries like China, India and Brazil, have started to look at the under explored opportunities in a continent whose mining sector was earlier dominated by mining concerns from the developed world, such as the U.S.A., Britain, Europe, and Australia. 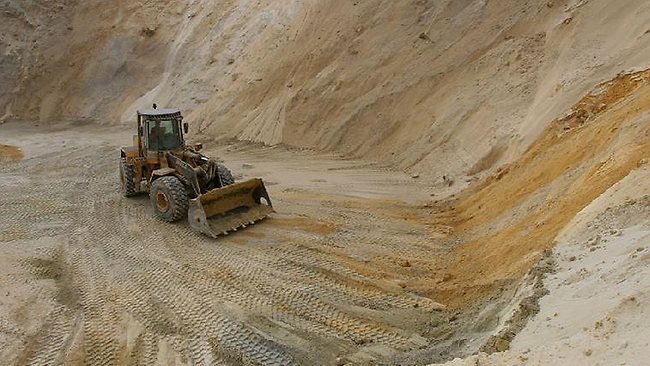 Brazil’s Vale SA and China’s Minmetals Resources Ltd. are among the major players from the developing world who are trying to make serious inroads into the African mining sector. Australian iron ore veterans like Sundance Resources chairman George Jones and Energio chairman Ian Burston hold similar opinions about the region’s potential but recognise the need for more foreign capital to develop transport lines and ports. Equatorial Resources managing director John Welborn describes West Africa as “Pilbara 60 years ago” and says investors are paying attention. More and more Australian explorers are heading to Africa to take advantage of the opportunities, both in terms of the quality of deposits and the comparatively cheaper costs.